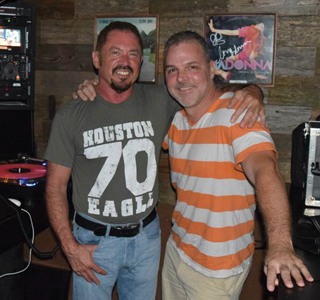 Famed local Houston DJs JD Arnold and DJ Mark D (Mark De Lange) teamed up a few years ago to create something exciting, the creation of Dirty Disco. What started as a series of classic local Disco parties and circuit events, soon morphed into full-blown music production company with Billboard chart success! JD worked at the biggest Gay club in town and Mark worked at the biggest Straight club, so there was a friendly rivalry, “JD and I would see each other every Tuesday at the record shops around town” Mark says, “we would always hit off of each other and talk shop about what records were hot.” The year was the mid 90s, Mark was working at Roxy, Club Pacific Street and 104 KRBE radio and JD was working at the legendary Rich’s and KISS 98.5 radio. They were both Billboard DJs, meaning they would chart what music was happening here in town and that would go into the compilation of Billboard’s club/dance chart, which could make or break an artist’s career. A very powerful position indeed. The first Dirty Disco production was a remix of DJ John LePage’s original song “I Believe In You.” Then the two got together with iconic diva Debby Holiday and wrote “Lift,” which was the club anthem of the summer of 2015 around the country and made it all the way to #5 on the Billboard club chart! “That was our first song we wrote, not just remixing some else’s work – we were astounded” JD exclaims. Then their production of Barry Harris’ “What Makes Your Heartbeat Faster” made it to Billboard #10 just a few weeks later and number 1 on US-based record pool charts. From then on, they have been approached by a number of record labels and artists to do remixes. On the books of Dirty Disco are great tracks like “Spirit In The Sky” by Doctor & The Medics (part of their 29th anniversary set, still at #1 with US record pools), Shakespear’s Sister’s hit “Stay” along with “My Favorite Sin” by Eric Alan (a Houston native now in NYC). A few months back, their single “Was That All It Was”, a remake of the 1980 classic that was a huge hit at the largest Gay bar in the world at the time – The Saint (NYC), entered Billboard’s top 50 in its second week out and hit number 5! Scheduled for release in December of 2015 is “Stranded”, an original piece JD and Mark wrote along with diva icon Inaya Day! “The time I knew we had made it was not necessarily the Billboard chart action, which JD and I are thrilled with, it was when we got a call to remix a pop record from a record label in the UK” Mark explains. “Yes, we normally focus on the nightclub and after hours music scene with our music,” JD says, “but it was when we were able to do a crossover remix that really showed we had something.” The single they’re speaking of is “Angel” by Alexx Antaeus feat Tommy Lee Sparta, which was released by the label in late October 2016. What started as a couple of local guys wanting to throw some good parties has truly blossomed into something big! 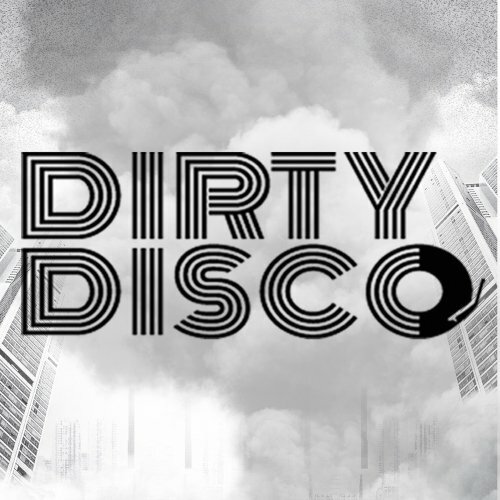 Dirty Disco is a name to watch!